Empty calories define most fast food, sugary drinks, and popular cereals, so much so that regulators have reigned in advertising low-food-value items to children. Why do I raise this? Because an MBA admissions essay – like any other piece of writing – is a meal for the reader. The reader’s hope and quiet prayer is that the text will deliver the informational nutrients they are looking for, with little fat or waste. Forget the turgid writing and cliche’s-running-amok for a moment. That can be fixed. The point is, even if fixed, there is still nothing there. 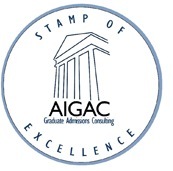 From the Adcom readers’ point of view there is no nutrition in the text, nothing that tells them anything interesting or specific or memorable about these applicants and why they should be admitted to b-school. There is no data, there is no record of action, no unique insights. Just words taking up space. That is, just empty calories. 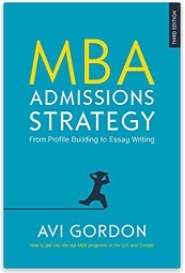 The task of the MBA admissions essay is to explain your admissions value to Adcom, and you won’t achieve this via empty text. You must present nutrition-laden text, or you will be dinged. This means excoriating anything and everything that tends towards vacant content, or generalization that could be said by any applicant. Cut that. Cut it urgently, to create space for reader nourishment –the crisp telling of specific experiences that show you in action, developing unique skills. Or fresh insights about yourself, about your future aspirations, and how you uniquely see the challenges of management and leadership.